The world’s nations are meeting in Lima, near the equator, to pledge and promise about global warming. But the actual worth of those promises can be more accurately gauged in the far north and the far south of the planet, where real decisions in the next months will show whether the climate concern is rhetorical or real. By now most people know about the northern example: the tar sands of Alberta. Some time in the coming months the new Republican-controlled Congress will demand that Obama approve the construction of the Keystone XL Pipeline. If he vetoes that call and sticks to his principles, it will help keep expansion of the tar sands complex in check. That won’t make up for America’s vast expansion of oil and gas drilling in recent years, but it will send some kind of signal: there is a limit somewhere to how much fossil fuel we plan to extract. Many fewer people have heard of Australia’s Galilee basin, but that’s about to change. 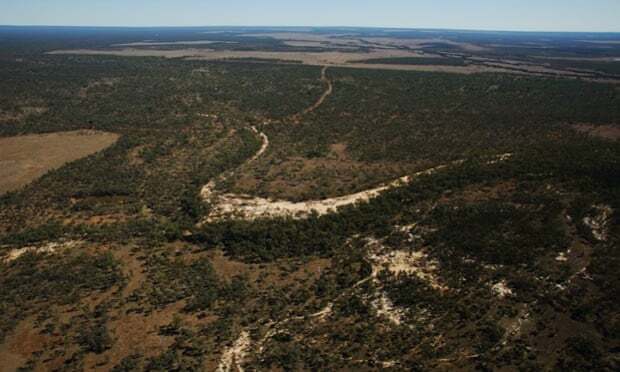 Work is scheduled to start in January on turning this remote basin into the world’s biggest coal mine — a colliery so vast that this single mine, in a nation with 0.3% of the world’s population, would produce 6% of the carbon necessary to take the planet past a 2C temperature rise, the red line set by the world’s governments. It’s breathtaking to think about. In 2014, with the Arctic melting and the West Antarctic ice sheet beginning a slow but apparently irreversible collapse, with crazy weather causing ever more damage and the oceans rapidly acidifying, Australia wants to build the world’s largest coal port and open a vast new seam for mining. The country has issued permits for billions of dollars of infrastructure designed to last the century, even as delegates in Lima are conceding that the planet must be off fossil fuel entirely by 2050. The tar sands, and the Galilee, represent the most extreme cases of extreme energy—and hence they become crucial tests. By their very ludicrousness they threaten to bring down the whole global climate negotiations. In the case of Keystone, an Obama approval would mean he heads to the big climate talks in Paris next year neutered, with no one believing he or his successors will actually take any political pain to uphold their promises. When secretary Kerry arrives at the climate talks in Lima later this week, activists will be pressuring him to recommend a rejection to the president. In the Galilee it’s a little different. Australia’s far right government loves coal — it’s pretty much all they talk about. Its approval of the project can be taken for granted (though polling shows approval of the government itself is another issue, and that Aussies are turning restive at its fanaticism). But building out the ports and railways and giant pits will require huge sums of capital, and so it tests the resolve of the world’s financial system to come to terms with climate. Any bank that backs this ludicrous plan is announcing, quite plainly, that it cares nothing about climate change. It’s also — probably worse for a bank — announcing that it’s stuck in the 19th century. Serious financial authorities (the governor of the Bank of England most recently) are warning that fossil fuel reserves risk becoming “stranded assets” as the world acts on climate change — investors in the tar sands, for instance, have already taken an enormous hit, and coal stocks have been tumbling for years. A British cabinet minister warned the other day that they were the “subprime assets of the future”, a sobering warning for everyone still recovering from the housing bust of 2008. So far the financial industry is showing relative sobriety. Goldman Sachs, for instance, has announced it won’t back the Galilee mines — and if you’ve found something too dirty for Goldman Sachs, that’s saying something. Citibank too. Deutsche Bank. HSBC. Campaigners will have to head into the hinterlands of Queensland to try and block preliminary dredging in January — just as activists stand by to put their bodies in front of Keystone across Nebraska and South Dakota should Obama give in to the Republicans. They’ll also have to keep up the pressure on any institution or bank that is investing in the fossil fuel industry – an upcoming Global Day of Divestment Action next February provides just the opportunity. For the first time, climate negotiators are talking seriously about completely phasing out fossil fuels by mid-century. If those fine words flying around Lima mean anything, then at least these two projects will be shelved. Fighting global warming is going to be hard — but for anyone who’s serious, pulling the plug on these turkeys should be easy.